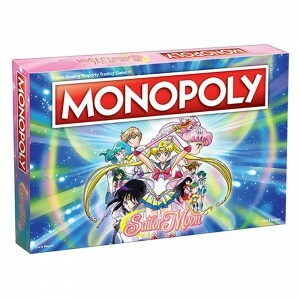 The Sailor Moon Monopoly game is now out in stores and online. I got my copy from an EB Games store in Ottawa (the Canadian equivalent to GameStop) a while back and it seems like many fans have done the same. With the game in hand we can get a good look at exactly what’s going on with the various pieces! As we’d discussed earlier this seems to be Sailor Moon S the game for reasons which I can’t really fathom. The various characters are mostly all from Sailor Moon S, mainly the villains being the Witches 5, Professor Tomoe and Mistress 9 as well as the inclusion of all Sailor Guardians including Sailor Moon S’s new additional Sailor Uranus, Neptune and Saturn. With the Viz video releases now having reached the end of Sailor Moon SuperS this seems an odd way to do it. 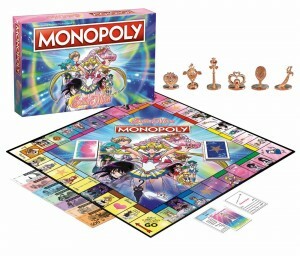 Perhaps the game was simply in development for too long or this may have been an intentional choice as many of the Sailor Guardians introduced in this season would not appear in Sailor Moon SuperS and a Sailor Moon Sailor Stars Monopoly game would not be as recognisable to fans. 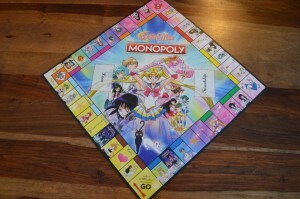 For whatever the reasons, it’s Sailor Moon S Monopoly! As with many other versions of Monopoly this really is the same old game we’ve seen time and time again with a different esthetic. This was immediately obvious to me as I’ve played countless hours of the game in my youth and I even spent quite some time programming a Monopoly computer game in Turbo Pascal when I was a child (the game mostly worked well but lacked houses, hotels, Chance and Community Chest cards). This is good for purists who want to have the same game experience as normal Monopoly. One thing which I think is fairly odd however is the completely random grouping of characters for most of the properties. Allow me to rant a bit about each one. First we have Luna and Artemis, as a single property, bundled with Mimette of the Witches 5. Wouldn’t it have been easier to just use this, one of the only two pairs of properties, as Luna and Artemis? Mimette does not fit with Luna and Artemis at all. The characters don’t ever actually interact. Next we have Eudial, Viluy and Tellu. This actually works! They are 3 of the Witches 5 and since there are no sets of five properties (most are groups of three) this sort of works! Then there’s Cyprene/Ptilol with Kaolinite and … Sailor Chibi Moon! Kaolinite does have a brief interaction with Chibiusa at some point and the two characters do show up together in succession in the later versions of the Sailor Moon S credits. Cyprene and Ptilol fit only with Kaolinite. It would have made more sense to have put Mimette with her fellow Witches and then put Chibiusa with either her parents or maybe with Sailor Saturn! Next is Sailor Mercury, Mars and Jupiter. There are all Sailor Guardians so this works decently. Aside from Sailor Moon they do spend some time together before Sailor Venus joins the show so I’ll say this is one of the three less terrible one. Next is Sailor Venus, Professor Tomoe and Sailor Pluto. None of these characters have much to do with each other, except perhaps for a brief interaction between Sailor Venus and Pluto in one episode of Sailor Stars. Sailor Venus belongs with the Sailor Guardians from the first season while Sailor Pluto fits in better with Sailor Uranus and Neptune or even with Sailor Chibi Moon. I would personally have put her with King Endymion but that’s because I like trolling people. 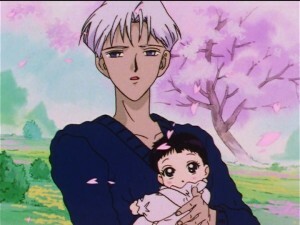 Professor Tomoe is a villain and if he’s going to be paired with anyone but his fellow villains from the season it should probably be his daughter, and not the Sailor Guardians who steals his baby from him in Sailor Stars. 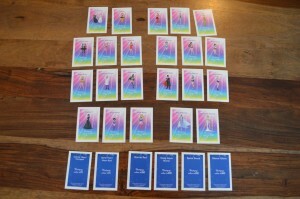 Next is Sailor Uranus and Neptune with … Tuxedo Mask! Naturally Sailor Pluto would have worked better here. There’s nothing these two lesbians love more than the show’s male love interest! At least Sailor Uranus and Neptune are together where they belong. On the last side we have Sailor Moon with Sailor Saturn and Mistress 9. This sort of works since Sailor Moon fights Mistress 9 and sort of saves Sailor Saturn but these characters would fit so much better elsewhere. Saturn should be with her father or her friend Chibiusa and Mistress 9 could easily fit with the villains! It does of course work that two versions of Hotaru be grouped together. Finally we have the only grouping that works well, and that is Neo Queen Serenity and King Endymion. The only issue here is that they don’t really appear in Sailor Moon S so they don’t fit with the game at all. Other groupings make some sense! The railroads are all items, either Talismans or Sailor Saturn’s Silence Glaive. The utilities are replaced by Sailor Moon’s items, that being her broach and rod. Jail and Free Parking are unchanged. It seems like there’s an opportunity here to use something a bit more Sailor Moon themed for these. Maybe Pharaon 90 sends you to the Tau Star System or something like that. A missed opportunity which leaves art which ultimately clashes with the rest of the game. When it comes to the game pieces they are nice! These are the three Talismans, Sailor Moon’s Cosmic Heart Compact and Spiral Heart Moon Rod, and the Holy Grail. 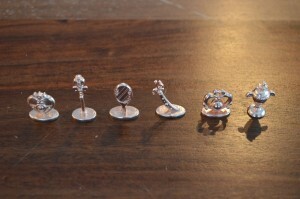 They’re all things and not characters but then aside from the dog most Monopoly game pieces are just things anyway. The money is a bit odd. 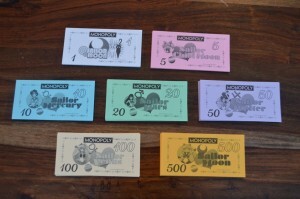 The colours and values are more or less kept from real Monopoly with different characters appearing on each bill. The money is all shown with an M with a slash through it. Moon dollars or something of the sort. It’s not like Sailor Moon takes place in a universe they don’t use normal currency. We frequently see prices and money in the series being yen. Is there some rule that a themed Monopoly came have some weird non existent currency? 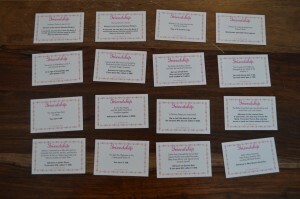 Finally we have the Love and Friendship Cards. These seem to basically be Chance and Community Chest cards with the flavour language changed and the same dollar amounts and consequences. The descriptions of what is occurring are just random events occurring during Sailor Moon S.
Should you buy this game? If you wanted to I imagine you already would have! It’s just one of a very, very, very long series of Monopoly games with images based on many franchises. The specific decisions made in adapting this game seem to be pretty poor as someone with a minor amount of effort would likely have been able to put together property groupings and other aspects of the game which work much better. 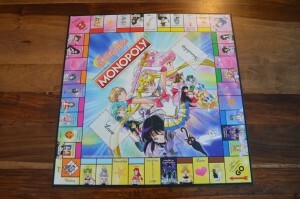 It seems like someone with next to no knowledge of the franchise was given a list of characters, art and perhaps episode summaries of Sailor Moon S and that they threw together a version of Monopoly that superficially seemed to have made sense. For my money the Sailor Moon games by Dyskami Publishing are a much better way to play a Sailor Moon game. Keep reading for more photos of this game. Income Tax and Luxury Tax – Something with the Witches 5? Why Sailor Moon is on both the $1 and $500 isn’t clear! I may be mistaken as it’s hard to see exactly what it says on the $1 bill but it seems to have a crescent moon and the “Sailor” part is clear and the second 4 letter word appears to be Moon from the top of the letters we see. I’m not sure the $ is the appropriate symbol to be using in this case as there seems to be an M symbol to reference Sailor Moon Money when dollars are mentioned but it is a bit hard to make out. Sailor Moon Money has no basis in canon. Throughout most of the series the character live in Tokyo and would use Japanese Yen as currency. I don’t know what currency would be used in Crystal Tokyo but it seems unlikely that it would be called Sailor Moon Money as Sailor Moon is no longer an active superhero at the time, what with being the Queen of that city. 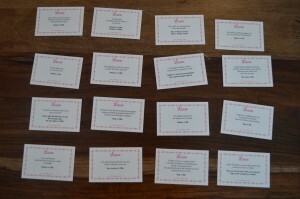 We also see what the tokens for the game will be. These are also listed on the GameStop site. These are the Cosmic Heart Compact, Moon Chalice, Spiral Heart Moon Rod, Garnet Orb, Deep Aqua Mirror and Space Sword. These are again all items appearing in Sailor Moon S.
Why Sailor Moon S? Why now? Sailor Moon SuperS has now been released in its entirety in North America on home video. Sailor Moon Sailor Stars is out subtitled on streaming services. When it comes to Sailor Moon Crystal we’ve only gotten up to the Infinity Arc, telling the equivalent of the Sailor Moon S story, but these are clearly original Sailor Moon anime based designs and not Sailor Moon Crystal designs like we’ve seen with the Sailor Moon Crystal Dice Challenge game. Surely there is the convenience of having all of the Sailor Guardians appearing in Sailor Moon S allowing for more properties with those characters in it. If we had a first season based game we might be seeing Queen Beryl and the Shitennou alongside Naru and Umino instead. There are certainly reasons for which Sailor Moon S makes sense for the game’s setting, but it still seems odd and a bit arbitrary to me. Do you plan on picking this game up? How many versions of Monopoly do you own?